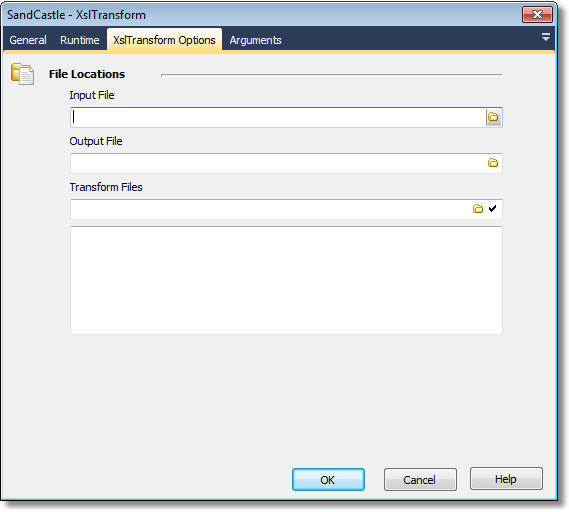 The Sandcastle - XslTransform action enables you to apply XSL transforms to XML files. The XML file that will be transformed by XSL transform file. The file that will hold the transformed data. One or more files to use to transform the input file. When using multiple transform files, the output of the previous transform is used as the input for the next. Extra arguments to provide to the XslTransform tool.